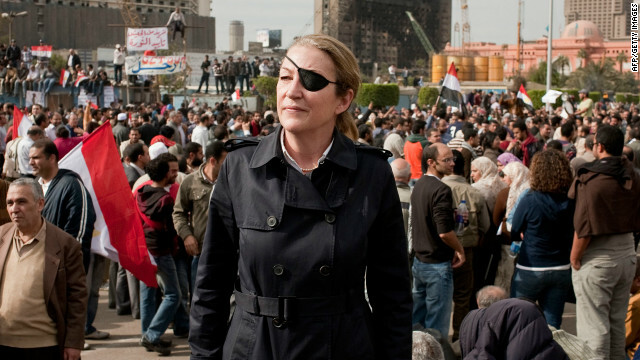 Lindsey Hilsum’s new biography of Marie Colvin is a stark reminder of the plight of journalists in our ever-dangerous world. According to the Washington Post at least 43 journalists were killed in 2018 with another 12 deaths whose causes are not totally clear. The role of a journalist is to report the news as accurately as possible so citizens can make intelligent judgements about world events. The life of Colvin presented in IN EXTREMIS: THE LIFE AND DEATH OF THE WAR CORRESPONDENT MARIE COLVIN reflects that dedication and commitment to that truth. 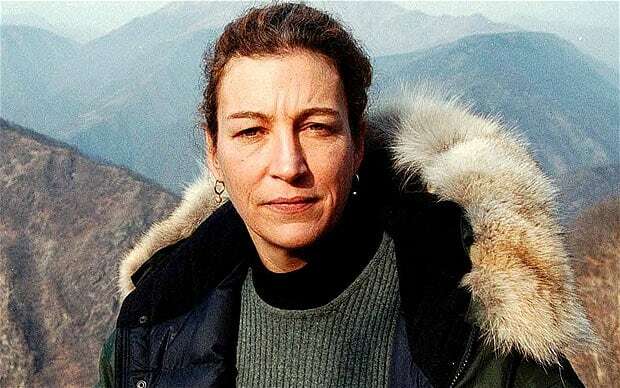 Hilsum, international editor for Channel 4 News in England is the perfect candidate to write about Colvin’s life as she herself covered wars and conflicts in the Middle East, the former Soviet Union, and Africa. The recent murder of Washington Post reporter Jamal Khashoggi by the Saudi Arabian government reflects the danger journalists face. The evidence points to the murder being ordered by the Saudi Royal Prince, Mohammed Bin Salman because of Khashoggi’s negative reporting of Saudi policies. In this case a journalist was not killed on the battlefield, though in a sense he was. 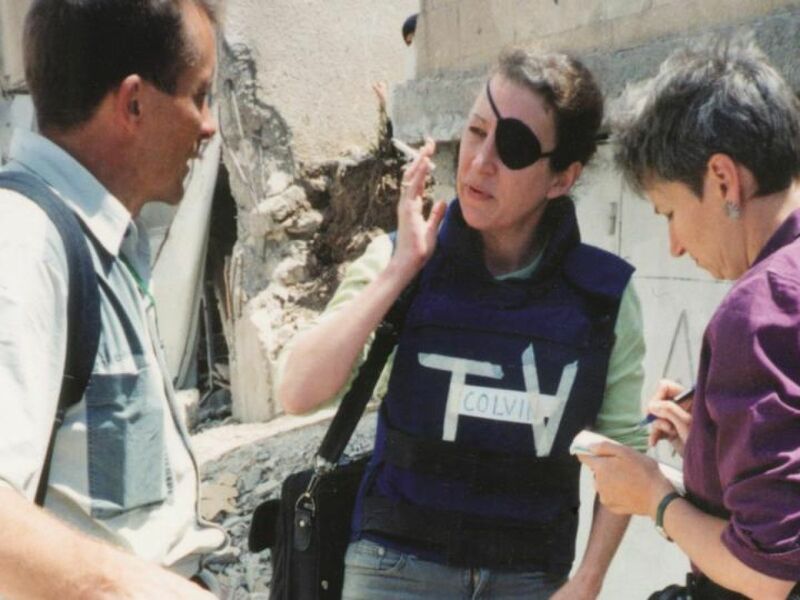 In Colvin’s case she would give her life reporting from Homs, Syria district of Baba Amir, killed by an artillery attack in 2012 during the civil war that continues to this day. Colvin was raised in a comfortable middle-class Catholic family on Long Island, a lifestyle she would totally reject after studying with legendary journalist John Hersey at Yale and move on to a dangerous yet rewarding career as a war correspondent. Hersey was one of the first individuals who impacted Colvin’s life and work. Another, her role model, Martha Gellhorn whose work during World War II was exemplary. Hilsum meticulously chronicles Colvin’s relationships and how they affected her love life and career. Perhaps the most important being Sunday Times correspondent, David Blundy. This bond was less sexual and more of a lifetime friendship as they shared the same approach to their work, humor, and the way they approached the world. Hilsum details other important relationships pointing out their importance to Colvin’s life and work which both seemed conceived as a war zone. Colvin was married twice to husbands who repeatedly lied to her, had her own series of affairs and one-night stands, suffered miscarriages, and would resort to alcohol to deal with her pain. Hilsum’s approach reflects Colvin’s dedication to her craft and the dangers she faced on a regular basis. Be it confronting Muammar Gaddafi, her special relationship with Yasir Arafat, or interviewing other individuals who rebelled against existing power structures. The reader is presented with an inside look at the pitfalls and obstacles journalists like Colvin faced each day in Libya, Iraq, Israel, Kosovo, Chechnya, East Timor, Afghanistan, and finally in Syria over the last three decades. Hilsum relies on over three hundred journals maintained by Colvin, interviews with her peers, and impeccable research to construct a fascinating picture of Colvin’s private life and career which she had difficulty keeping separate. Hilsum does a nice job presenting the background history of each conflict area Colvin explores. The author tries to explain the myriad factions in Lebanon as Beirut is divided at a green line with Maronite Christians, Amal, Palestinian groups, bourgeoning Hezbollah all backed by different powers be it Iran, Russia or Syria. In dealing with the Israeli-Palestinian conflict, Hilsum bores down deep to explain its origins, the constant explosion into violence be it the Intifadas, the wars against Hamas, and the attempts at peace. Hilsum describes Colvin’s approach to reporting as other journalists would file from the relative safety of Paris and Cyprus when covering Middle East tension, Colvin would get up close and want to experience events before she reported. Danger be damned, as her journalism was distinguished by her personal experience and she would become part of the nomadic group of journalists who wandered the landscape of the Middle East. For Colvin the Middle East held a tremendous fascination which explains many of her stories. She was able to develop a trusting relationship with the elusive Yasir Arafat and interviewed him over twenty times. Hilsum describes the arcane nature of Palestinian politics and the reclusive nature of the Palestinian Chairman. Arafat is the perfect example to study as Colvin had the uncanny ability to get people to speak to her. Colvin’s reputation was secured as she was able to sneak into Basra in 1986 during the Iran-Iraq war, Beirut during the 163-day siege of the Bourj al-Barajneh refugee camp in 1987, and her reporting helped create world pressure to get the Syrians to force their surrogates to stop the fighting. The following year her stories describing the first Intifada against Israel reaffirmed her status as a war correspondent. Colvin was not known for her stylistic approach to writing, but she got the facts and the human-interest component, at times leaving it to her editors in London to fit the puzzle of her reporting together in a more coherent whole. The years 1998 through 2001 found Colvin moving from what area of conflict to another with seemingly no time in between. 1998 saw her in Kosovo reporting on the devastation caused by Serbian nationalists. 1999 revolved around Indonesia as rebels in East Timor declared their independence. Later that same year Colvin moved on to Chechnya as the new President of Russia, Vladimir Putin decided to crush Chechen rebels who had broken away from Russia during the collapse of the Soviet Union. Finally, becoming involved in the Sri Lankan Civil War where she was shot trying to leave a Tamil rebel held area, resulting in a loss of her eye, and a deep depression as she tried to recover physically as well as emotionally. 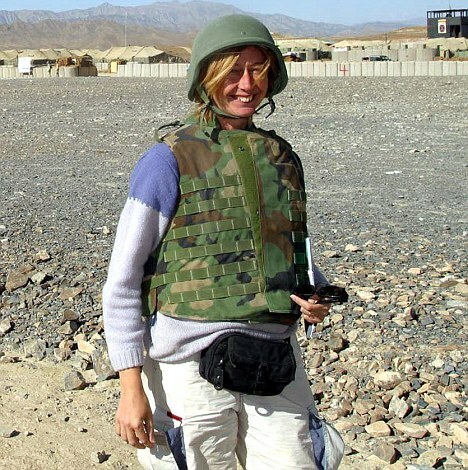 Colvin was a remarkable woman who had many irreconcilables demons within, but she found herself to a large extent as a war correspondent that made life, at times tolerable. She witnessed and personally suffered a great deal of sadness and joy in her life, but her work is a testament for what journalism can accomplish, and the hope that those in power will care when reporting reaches the newspapers, websites, or television. Hilsum has done an excellent job capturing the essence of who Colvin was and how she made her life meaningful. When the state of Israel achieved nationhood in 1948 it was seen as an ethical and moral experiment because of the role the Holocaust played in its creation, along with its dominant Jewish culture. Residing in a geographical region that had nothing but hatred for the new state it would be difficult to expect Israel to maintain the high standards that were expected of it. The difficulty would morph into a nation that had to protect itself from invasion, and once that was beaten back it had to deal with constant attacks across its borders. As a result Israel would take on the character of other countries and adopt measures that ran counter to expectations. The evolution of Israel into an intelligence and military power to meet the needs of its citizens is explored in detail in Ronen Bergman’s new book, RISE AND KILL FIRST: SECRET HISTORY OF ISRAEL’S TARGET ASSASSINATIONS. Bergmann is an Israeli journalist who writes for Yedioth Ahronoth and has received the highest prize offered for journalism in Israel. Bergman’s monograph begins with the end of the Second World War and continues through today. It is based on over 1,000 interviews, thousands of documents, and runs to about 650 pages. What is clear from the outset is that Israeli leaders were firm believers in the Hammurabi Code of “an eye for an eye.” This can be seen from the outset as Israel wanted to ethnically cleanse as many Palestinians as possible (Plan Dalet)), from towns in the West Bank and Gaza Strip. Bergman traces the creation of a “machine” which came about through the “marriage of guerrilla warfare and the military might of a technological powerhouse.” Bergman explores the political leaders, operatives, methodology, and deliberations that resulted in many successes, but a number of important failures also. One of the major themes of the book rests on the moral cost of this policy and how two separate legal systems developed in Israel; one for ordinary citizens, and one for the intelligence community and military establishment. The template became a model for other countries, particularly the United States after 9/11 which mirrored Israeli intelligence gathering and assassination techniques. Bergman does an excellent job explaining the Israeli rationalization for targeted killing. He explores in depth the history that preceded its implementation, its legal justification, and the resulting bifurcation in Israeli society. Since Israel suffers from a deficit of men and equipment when compared to its enemies, early on they decided to rely on internal security and intelligence gathering services for their survival. 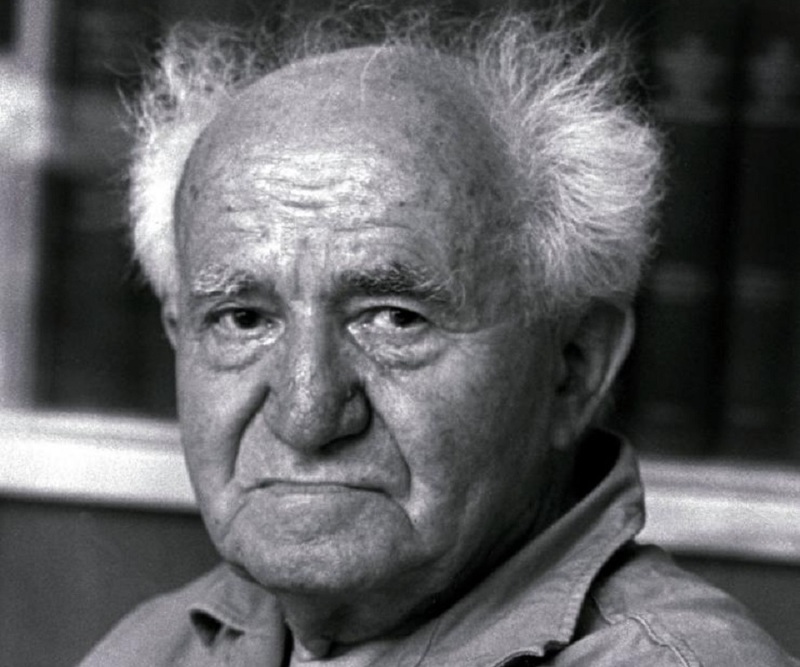 The program began under Israel’s first Prime Minister, David Ben-Gurion who effectively set up the extrajudicial system to carry out assassinations. 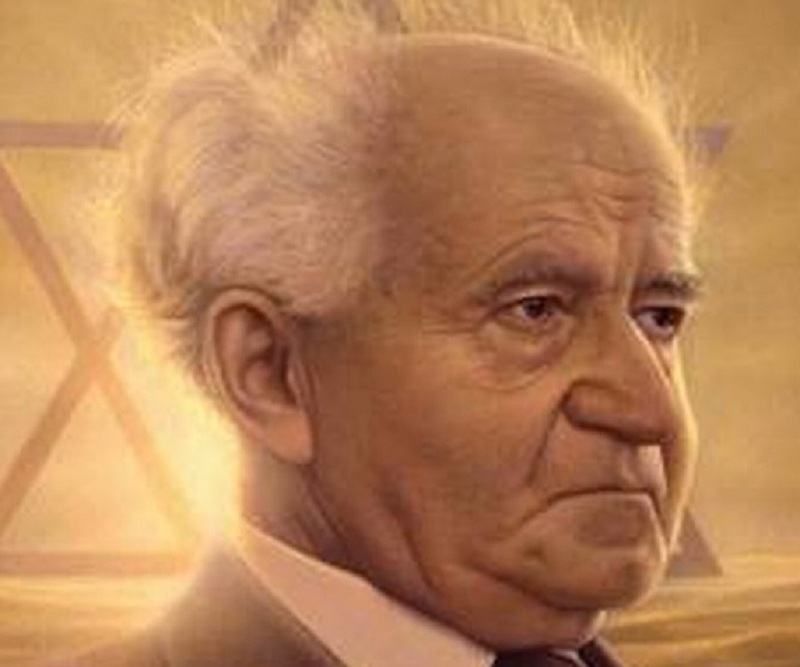 By 1949 Ben-Gurion created the Mossad (covert activities beyond the country’s borders)), along with AMAN (the military intelligence arm that supplies information to the IDF); and Shin Bet (responsible for internal intelligence, counterterror, and counterespionage). These three services still remain the core of Israeli intelligence activities to this day. There are a number of key events and individuals that are responsible for the evolution of Israeli tactics. Israel faced “Fedayeen,” Arab terrorists led by an Egyptian, Mustafa Hafez, who crossed into Israel in great numbers after the War of Independence and killed numerous Israelis. By 1956, the Suez War broke out and after the Gaza Strip was conquered Israeli intelligence came across Hafez’s list of operatives who had terrorized Israel for years. 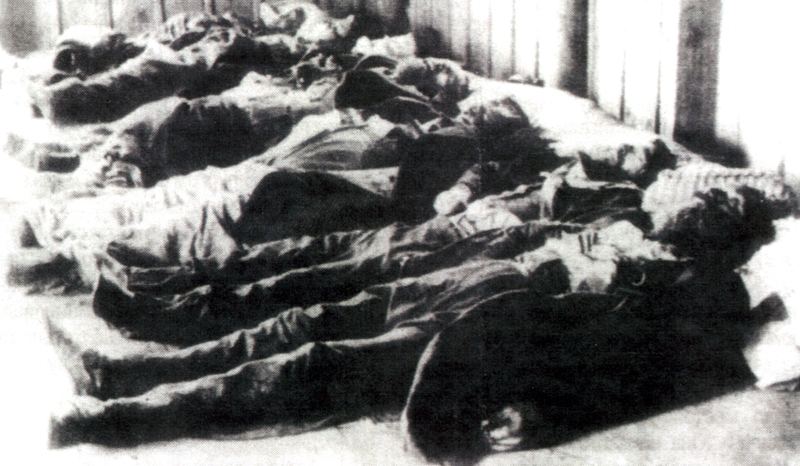 Ben-Gurion ordered that everyone on the list should be killed and one by one operations were carried out. This section of the book reads like a Daniel Silva novel. From 1956-1967 attacks were drastically reduced as the Arabs realized the price they would pay from Israeli retribution. However, the Egyptians began to employ German scientists to develop long range missiles. Bergman provides a detailed chapter on the episode and one realizes that once a threat is perceived, Israel reacts. In this case the assassination of German scientists, kidnappings, and recruiting certain scientists to be used against Egypt, i.e., Otto Skorzeny, Hitler’s Operational Commander. The book encompasses more than a retelling of numerous targeted killings. Bergman discusses a series of operations whose focal point was not assassination. For example, the high jacking of an Iraq MIG-21 fighter by getting the pilot to defect, or allying with King Hassan II to spy on Arab leaders providing intelligence leading up to the Six Day War. 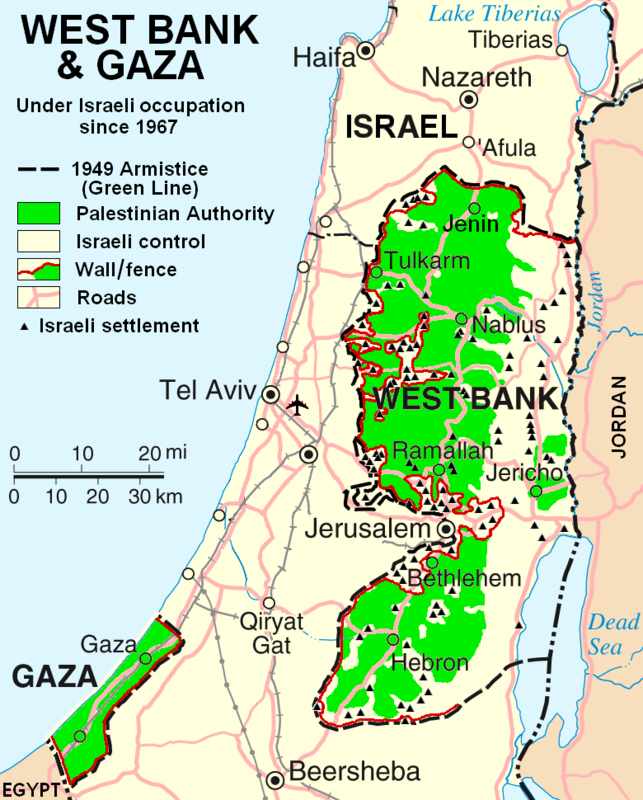 Further, throughout the 1950s and 60s Israel was preoccupied by Egyptian President Gamal Nasser and as a result Israeli intelligence missed the creation in 1964 of the Palestine Liberation Organization under Yasir Arafat and Abu Jihad. After the 1967 War, the PLO launched numerous attacks against Israel. As Israel attempted to assassinate Arafat, his popularity among Palestinians increased, and enlistments in the PLO rose dramatically as the Palestinian leader was seen as the embodiment of Palestinian nationalism. Perhaps one of Bergman’s most interesting chapters, “Meir Dagan and His Expertise” the author describes how Israel dealt with this increasing threat. It is here that we see assassination and killing implemented as standard policy. The Israeli government unleashed Ariel Sharon who commanded Israel’s southern frontier. By the end of 1969, Sharon created a new unit under Meir Dagan, and using intelligence gathered by the Shin Bet went into Gaza to murder Palestinian operatives and leaders. After the PLO responded by slaughtering an Israeli family driving along the Gaza road, Shin Bet and IDF Special Forces wiped out terrorism in the Gaza Strip through 1972 by employing methods that went beyond Israeli domestic law. This was effective until the Jordanian Civil War produced a new Palestinian terrorist group, Black September. Bergman’s command of his material is superb, as his analysis down to the last detail. He takes the reader into areas that no previous author has done. Numerous operations are described including their conception and implementation. Among the many that are discussed include the “Spring of Youth” operation that resulted in the death of three top PLO officials and 35 PFLP terrorists in Beirut in October, 1972, which netted documents that would lead to the destruction of the Fatah network in the West Bank, and the killing of all the assailants related to the 1972 Olympic Munich massacre by elements of Black September. However as successful as the operation was it created tremendous hubris on the part of Israeli leaders leading them to believe the Arabs would not attack further. This feeling of superiority resulted in rejection of Anwar Sadat’s peace overtures which led to the outbreak of the Yom Kippur War. The Salameh operation is described in detail and produced a number of surprising pieces of information. For example, Salameh had been recruited by the CIA and was America’s back channel to Arafat. Both parties agreed that the PLO would not launch attacks in the United States, and Salameh would be protected. However, Israel viewed Salameh as the man who engineered the Olympic massacre and waited until January, 1979 to kill him with a car bomb in Beirut. Another example was the Israeli raid on Entebbe that resulted in the rescue of most of the Israeli hostages that were imprisoned after an airliner high jacking that was flown to Kenya. Bergman presents the planning of the raid, and once again the outcome was marked by Israeli hubris. Abu Nidal presented a different problem for Israel after his terror group killed Israel’s ambassador to England, Shlomo Argov. This was used as an excuse to invade Lebanon, when Israeli attacks led by Meir Dagan failed to provoke a PLO response, a move that Middle East expert, Robin Wright led to “Israel’s Vietnam.” Bergman highlights the most important aspects of the war, especially the role played by Sharon. The Israeli general had his own agenda in launching the attack; first, to redraw the map of the region with a Christian Lebanon and the movement of Palestinians from the West Bank and Gaza to Jordan, second, his obsession with killing Arafat. Both goals were not achieved, but what was achieved was raising Arafat’s profile in the Arab world as the Palestinians were forced to leave Lebanon in August, 1982, the emergence of a new terrorist group backed by Iran, Hezbollah, and the beginning of an eighteen year quagmire in Lebanon. 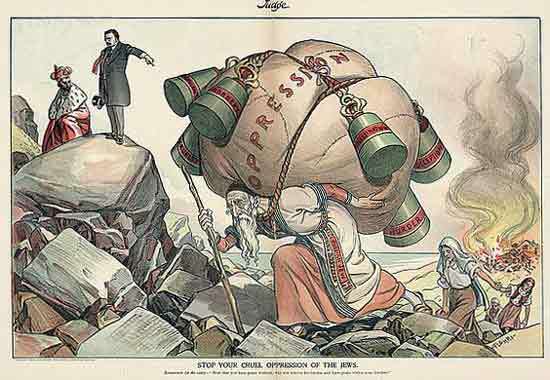 Sharon acted like a monarch, a law unto himself making him a detriment to Israel. Sharon overshadowed Prime Minister Menachem Begin who receded into an emotional depression as the war continued, and was replaced as Prime Minister by Yitzchak Shamir. Israel would continue its policy of targeted killing as the carnage of Munich, Maalot, Nahariya, and many others became Israel’s justification for murder and summary executions. Lebanon made the situation even worse as there were no laws to restrain the Shin Bet from torturing prisoners and on many occasions killing them. As the Intifada continued the Shin Bet became very flexible in its approach to killings; employing disguise to trap suspects, demolished terrorist’s homes, and turning Palestinians into spies for Israel. The most important of which was Adnan Yassin, a mid-level activist who dealt with numerous projects in PLO headquarters in Tunis. 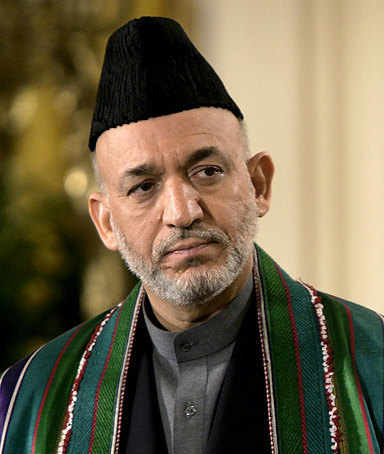 Once Yassin was turned, he provided valuable information for over four years that helped prevent numerous attacks and contributed to a number of important targeted killings. By 1992, Yassin was discovered and executed. As Bergman develops his narrative he integrates the history of the region and the most important historical figures into his text. None is more important than Saddam Hussein and his quest to acquire nuclear weapons. Bergman digs deep and points out that the United States and France were currying Saddam’s favor because of his ongoing war with Iran in the 1980s. It is surprising to note that the French built a nuclear reactor in Iraq and supplied him with the necessary technology to try and reach his goals. This was due to the ego of Charles de Gaulle who resented Israel’s ignoring his advice in 1967 and from that time, France, a traditional ally turned against the Jewish state. The Mossad pursued the same approach it had used against Egyptian scientists and began killing those associated with Iraq’s program. Bergman follows Israel’s military and intelligence planning that finally led to the Israeli destruction of Iraq’s nuclear reactor in 1981. Another important individual that Israeli intelligence had to cope with was Ayatollah Khomeini whose movement overthrew Israel’s ally, Reza Pahlavi, the Iranian monarch in 1979. Khomeini was seen as an existential threat to Israel and eventually fomented trouble throughout the region and helped create and support Hezbollah, “the Party of God” during the fighting in Lebanon. This produced another cycle of violence with rockets and raids into northern Israel and Israeli target killings against Hezbollah leaders, particularly Hussein Abbas al-Mussawi who was responsible for many attacks against Israel. He would be replaced by Hassan Nasrallah as Hezbollah’s leader in Lebanon. Bergman points out that killing Mussawi may have been a mistake for Israel because he was much more liberal when it came to relations with Israel than Nasrallah who was more of a radical Shi’ite. This process continued in dealing with Palestinian terrorism throughout the 1990s despite the Oslo Peace Accords. Once again Bergman effectively deals with another cycle of violence. In Gaza, Hamas was a major problem and was responsible for numerous suicide attacks against Israeli civilians. Israel responded once again with an increase in targeted killings. Despite the Oslo Accords, Arafat refused to cooperate with trying to control Hamas. It would cost Prime Minister Shimon Peres his office and he would be replaced by Benjamin Netanyahu effectively ending the peace process. Bergman points out that Hamas suicide attacks were designed to end the peace process, and with the arrival of Netanyahu as Prime Minister, they achieved their goal. In the large number of operations that Bergman recounts he is careful to balance successes with failures, i.e., the attempt to kill Khaled Mashal, a Hamas leader in Amman totally backfired and cost Israel dearly. Another would be the attempt to kill Hezbollah operative, Haldoun Haidar that resulted in a deadly ambush for the IDF. These failures along with the ongoing threats from an enemy that used tactics that Israel had never grappled with before led to the reorganization of intelligence agencies under new leadership, a key of which was Ami Ayalon to head the Shin Bet and the introduction of new technology. New surveillance techniques, integration of computer systems, a new approach to network analysis, the use of real-time intelligence, hardware and software designed to integrate different services and operational bodies led to a series of success of which the killing of the Adwallah brothers and capturing the Hamas military archive stands out. The advances made by Shin-Bet was replicated throughout the entire country. Bergman correctly argues if these changes had not been implemented it would have been even more difficult for Israel to deal with the Second Intifada that broke out in 2000. Bergman discusses the changes in Israeli governments and its impact on “killing strategies.” Netanyahu’s government was plagued by charges of corruption and an increase in suicide bombings, and by May 1999 was replaced by the Labor Party under Ehud Barak, who as a soldier had been a master of special operations. Barak’s military lessons did not carry over to the world of politics and diplomacy. He was able to withdraw the IDF from Lebanon, but failed in his approach to Arafat at Camp David in 2000. This failure in conjunction with Ariel Sharon’s visit to the Temple Mount helped touch off a second Intifada. The increase in suicide bombings toppled Barak’s government and brought to power Sharon as Prime Minister leading to an all-out offensive against suicide bombers. With no real strategy to confront events Israel turned its usual approach, increased assassinations. 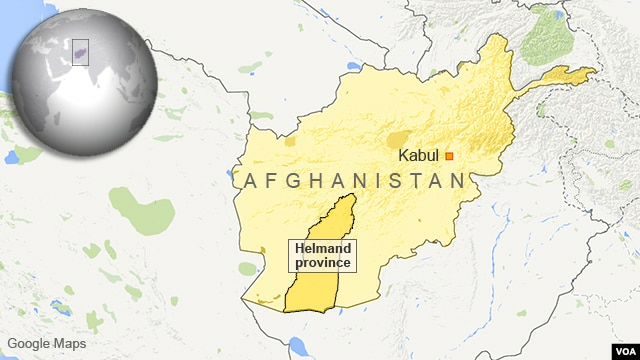 When this failed Israel altered this strategy by going after much more low level targets employing advanced drones retrofitted with special targeting technology and missiles. In addition, they began to acknowledge their responsibility for attacks and provided explanations for each. Once the 9/11 attacks took place the Israeli leadership used the new climate in the world to legitimize its assassination policy to break the back of the Intifada. To his credit the author delves into discord within the intelligence community over certain actions. Reflecting his objectivity Bergman discusses certain planned operations that brought about refusals on the part of certain participants to carry out orders when they believed there would be too much collateral damage. The debates between higher ups in this process are also presented and it was rare that there was unanimity over a given plan. The possible assassination of Sheik Yassin is a case in point because Israel’s legal justification for targeting anyone rests on the principle that a direct link between that person and a future terrorist attack was at hand. Finally, in March, 2004 Yassin was killed, as was his successor Abd al-Aziz-Rantisi one month later. Israel had instituted a new policy that political targets, in addition to operational targets were fair game because of the increase in suicide attacks that also included the use of women for the first time. The suicide attacks finally ended with the death of Arafat and the coming to power of Mahmoud Abbas who finally cracked down on Hamas. Bergman pays careful attention to the shifting balance of power in the Middle East as it pertains to Israeli targeting policies. 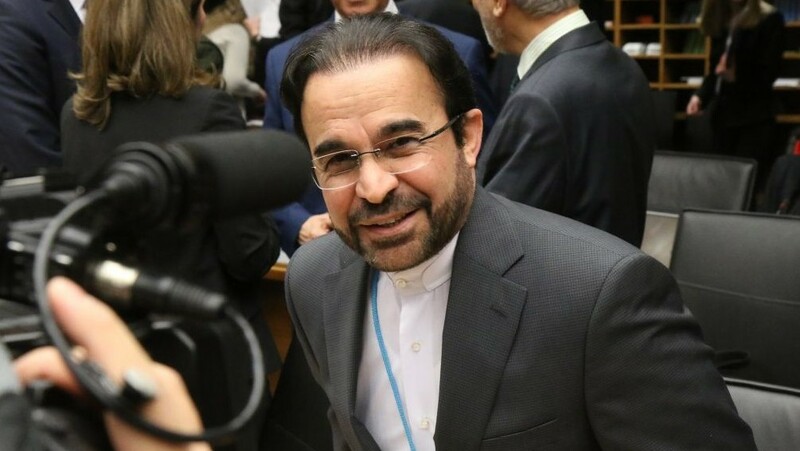 Yassin’s assassination was a turning point as he opposed any links with Iran, however once he was dead Hamas’ leadership agreed to work with Iran and the Teheran regime gained a strong foothold in Gaza. At the same time new Syrian President Bashir Assad decided to ally with Iran producing a radical front of Hamas, Hezbollah, Syria, and Iran. Israel’s response was twofold. First, Sharon appointed Meir Dagan to totally rework Mossad which Bergman describes in detail, and secondly, have Israel’s intelligence services network with those of Egypt, Saudi Arabia, and Morocco reflecting the Iranian common enemy. The result was a string of targeted killings on the part of Israel. Bergman’s presentation of intricate details and analysis of all aspects of Israel’s targeted killing policy has produced a special book. His access to the major personalities involved, his documentation of numerous operations and their repercussions, and how his subject matter fits into the regional balance of power is beyond anything previously written and should be considered the standard work on the history of the Israeli intelligence community. Gourevitch, Philip WE WISH TO INFORM YOU THAT TOMORROW WE WILL BE KILLED WITH OUR FAMILIES: STORIES FROM RWANDA. Prunier, Gerard AFRICA’S WORLD WAR: THE CONGO, THE RWANDAN GENOCIDE AND THE MAKING OF A CONTINENTAL CATASTROPHE. As parents we worry about many things. Over the last decade parents in western countries be they Muslim or Christian have a new source for concern – The Islamic State or ISIS. It seems many of their children have become vulnerable to ISIS’ slick online propaganda or the radicalization that is preached at a number of Mosques. In Dimitri Bontnick’s new memoir the nightmare of losing a child to the “Caliphate” is real and destructive. In his book, RESCUED FROM ISIS: THE GRIPING TRUE STORY OF HOW A FATHER SAVED HIS SON he details the recruitment of his son, his physical return, and the temporary loss of his mind. In addition, Bontnick is able to convey the stories of numerous other families who try and gain the freedom of their sons and daughters. After beginning the book with his own life story and how he raised his son Jejoen or Jay, Bontnick seems confounded by what led up to his son joining ISIS. He was raised in a bi-racial liberal Belgium family with few restrictions. The author points out a number of factors that he thinks contributed to Jay’s recruitment. First, he was forced to change schools; second, the breakup with his girlfriend of three years; and third, their home was on the edge of a neighborhood that was a hotbed of jihadism. Throughout the book Bontnick tries to wrap his head around why his son and so many others have given up their families and lives to join what they hoped to be the Caliphate. The author takes us through his son’s recruitment as well as many others as they make the decision to travel to Turkey and cross the border into Syria. From there we learn of their training, brain washing, and existence as part of radical Islamists. Bontnick describes in detail how he went about trying to save his son, who ostensibly had turned his back on him. Jay’s actions destroyed his family and resulted in his parent’s divorce. We travel with Bontnick on numerous occasions into Syria and the minefield of Aleppo and Raqqa in search of his son, and after finally gaining Jay’s freedom, the sons of many parents pleaded to him for help. Bontnick conveys what he was up against, first Sharia4Belgium, an organization designed to bring Belgium under Sharia law and a member of the Caliphate; then he had to deal with a series of characters in Syria, many of which were very dangerous as he was captured, beaten, and released. During his odyssey he did come across a number of journalists, Islamists, rebel fighters, and Syrian citizens who did their best to locate Jay and allow his father to bring him home. The first question a parent asks is why did I not see this coming? In retrospect the answer is they did, but did not want to admit that their child, as in the case of Jay was becoming a stranger. Bontnick explores his parental errors and warns parents how not to behave if they want to protect their children. 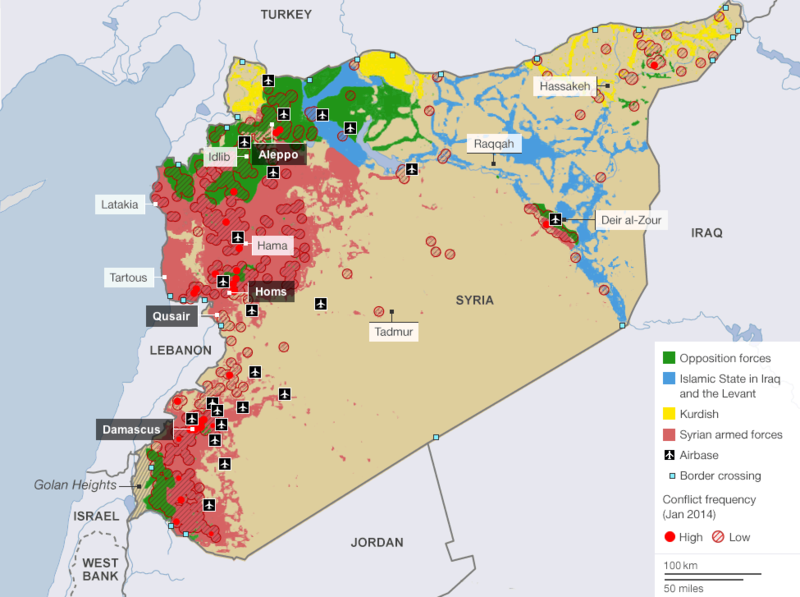 The author points out the difficulties in navigating Syria due to the many factions, armies, and ideological groups. Bontnick traveled to Kafr Hama, a very dangerous enclave where Belgium jihadis were located. He did and said a number of things that he feels guilty about, but justifies his actions in trying to save his son. As Bontnick tells his story he does briefly integrate the political and military history of the Syrian Civil War. 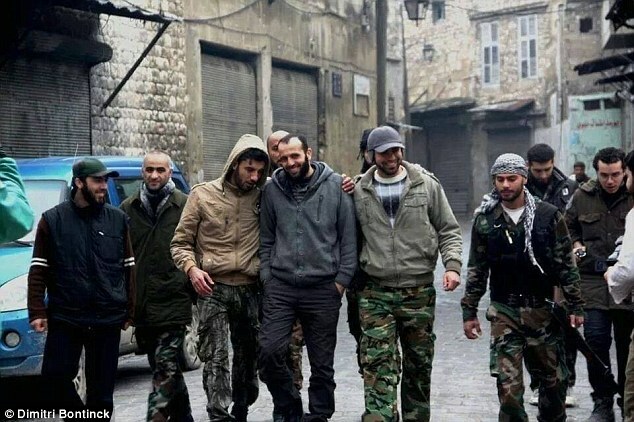 Once he is able to free his son he will return often to Syria to bring medical supplies and assist other distraught parents in trying to free their children. These endeavors were rarely successful, but Bontnick should be praised for all of his efforts. The greatest fears of the sons in returning home was being prosecuted and going to prison. Bontnick’s attitude is based on the belief that they were brainwashed as teenagers by a predatory organization that recruited westerners in “the hope of rewriting the software in the heads of children” should be taken into account. His argument that Belgium authorities have no programs or policies in place to deal with individuals who have given up on radicalization and want to return home is very sound. His suggestion to use their experiences as intelligence or allow them to provide information from within the Islamic State is something authorities should consider. Once Jay returns we learn of his trial, conviction, and suspended sentence. But despite his freedom he informs an interviewer from New Yorker magazine that his recanting of his radicalization was a sham, breaking his father’s heart. Later their relationship would improve and the author’s experience changed his outlook on life to that of helping others rather than chasing money and a career. The book is a heart rendering journey of a father who is attempting to keep what remains of his family together, and a successful dismantling of a major terrorist network in Belgium. It is also a handbook for parents who must confront the issues laid out in the narrative. Bontnick offers a great deal of advice, some of which is naive, but overall it is a chilling tale that is part of the larger war being fought against terrorism by the west. 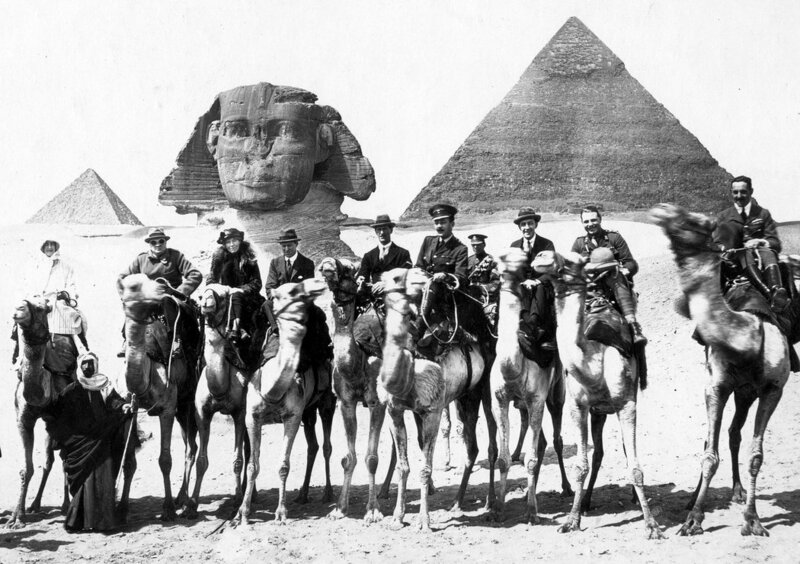 Just watched Werner Herzog’s 2014 film, the “Desert Queen” staring Nicole Kidman as Gertrude Bell whose impact over British policy in the Middle East during and after World War I was quite impactful. Hers was a rich life that reflected her work as a historian, archeologist, and later as a politician or pseudo diplomat. The film is rather slow moving and dull in spots, however the cinematography is nicely portrayed. The scenes with Churchill and T.E. Lawrence were poorly done, though we do get a sense of their egos. 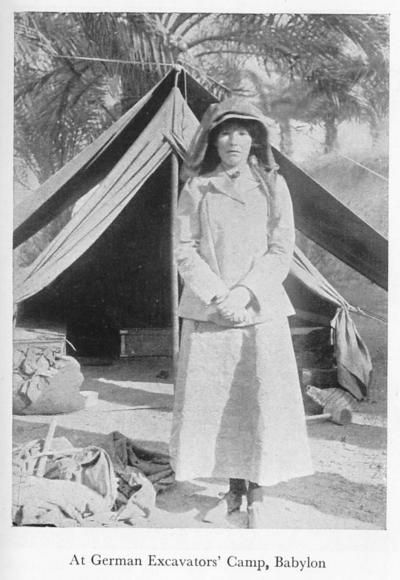 Devoting over half the film to Bell’s love life as opposed to her research and work with the Bedouin and her influence over British policy is a misuse of time and “the Desert Queen’s” gifts. Nicole Kidman masks a strong effort to accurately portray Bell, but overall the film could have learned a lesson from David Lean’s “Lawrence of Arabia,” though Herzog’s musical score does measure up. One watches the film, and follows Bell/Kidman travel the desert and after two hours, she finally meets with the Sharif of Mecca’s son’s Faisal and Abdullah and she sees them as future kings. Though true, this could have been presented in a bit more greater depth, though their pet falcons were a nice touch. 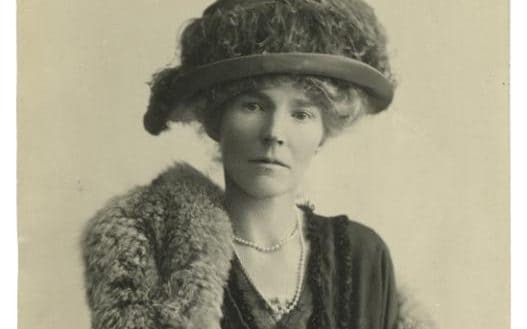 If one is looking to learn about Gertrude Bell and I would steer toward two books, GERTRUDE BELL: QUEEN OF THE DESERT, SHAPER OF NATIONS by Georgina Bell, and DESERT QUEEN: THE EXTRAORDINARY LIFE OF GERTRUDE BELL: ADVENTURER, ADVISOR TO KINGS, AND ALLY OF LAWRENCE OF ARABIA by Janet Wallach. A few days ago the United States withheld its veto of a resolution in the United Nations Security Council demanding that Israel end its settlement expansion in occupied Palestinian territory. Reflecting the Obama administration’s frustration with Israeli settlement policy it broke with the long tradition of Washington shielding Israel from UN condemnation. It further points to President Obama’s final “shot” at Israeli Prime Minister Benjamin Netanyahu, a man that the administration has been at “diplomatic war” the last few years be it over the Iranian Treaty or settlement policy. Prime Minister Netanyahu has let it be known that he is looking forward to the inauguration of Donald Trump and smoother relations with the United States. The situation in the Middle East has put Netanyahu in the news a great of late and it is propitious that Neill Lochery, a Professor of Middle Eastern and Mediterranean Studies at University College London has published his new book, THE RESISTIBLE RISE OF BENJAMIN NETANYAHU at this time. The work is not a traditional biography, though the most salient aspects of his family background and the course of his life is presented. Instead of a chronological approach Lochery presents his subject by a series of nine of the most decisive moments in Netanyahu’s career to tell his life’s story. The key theme that Lochery develops is that Netanyahu has been “more American” and “less Israeli” throughout his life. Lochery points out that Netanyahu did not fit “into the notorious closed and business elites in Israel,” a country that remains wary of outsiders, and many see the current Prime Minister as a stranger, even after all of these years. It is difficult in assessing Netanyahu’s career because I wonder what the man stands for other than his own political survival. Lochery understands this dilemma and does his best to deal with it as Netanyahu places numerous roadblocks in the path of diplomacy, doing his best to retain the status quo. 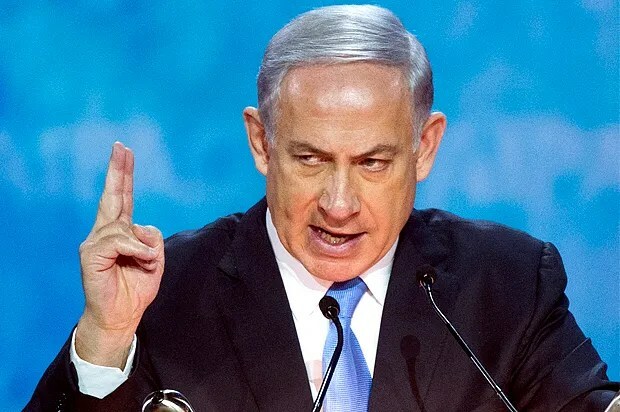 However, if Netanyahu survives the next two years in office he will become Israel’s longest serving Prime Minister, even surpassing, David Ben-Gurion, with his negative attitude toward the rest of the Middle East, the Palestinians, and at times, the United States. The arrival of Netanyahu on the Israeli political scene in 1990 was part of a wider cultural revolution in Israel that ushered in the “Americanization” of Israeli politics, media, and business. The key to Netanyahu’s rapid rise was his telegenic face and oratory style. As the Persian Gulf War of 1990-1 was ushered into our living rooms on CNN with its 24 hour news cycle, Netanyahu began to appear regularly as Israel’s chief spokesperson during the war. As his popularity rose outside of Israel, the elites in the Jewish state did not take him seriously which contributed to his rapid rise. Lochery points out that the Bush administration was growing tired of the hawkish Shamir government in Israel, so Netanyahu’s arrival came at a critical time as the war made him a political star, particularly after the 1991 Madrid Conference. Netanyahu’s rise was assisted by changes in the Israeli political process which began to mimick that of the United States. The institution of primary elections allowed the “Likud Princes,” (young Likud politicians like Netanyahu who had links to Revisionist Zionism) to leap ahead of others on Likud political lists and move toward party leadership quickly. Another change was the move toward the direct election of the Prime Minister which would greatly assist in Netanyahu’s victory and assumption of the Prime Ministership in 1996. In part Netanyahu modeled himself after President Clinton in 1992 when he publicly admitted an affair and placed his wife Sara out front in his political campaign. Further, in what was known as “Bibigate,” (Netanyahu’s nickname was Bibi) which he viewed it as a conspiracy against him. Lochery does an excellent job explaining the factionalism that existed and still exists in Israeli politics that was based on forming coalition governments as ruling parties never seem to be able to gain a direct ruling majority. This leads to deal making with lesser parties, particularly religious and immigrant factions that the ruling party is then beholden to. The internal schisms within the party are also developed with an excellent example being the rivalry between Netanyahu who at times appears as an ideologue, and Ariel Sharon’s development into a pragmatic politician. With the increase in terror attacks in Israel after Rabin’s assassination, Netanyahu was able to base his campaigns on fear to increase support. With the first suicide bombing on October 19, 1994 at a bus station that killed 22 and injured well over 100, Netanyahu’s support was energized beyond his right wing base. Netanyahu was first elected Prime Minister very narrowly (50.4% to 49.5%) over Shimon Peres on May 29, 1996. Netanyahu’s election campaign was run by Arthur J. Finkelstein, an American political consultant and was funded by a number of rich American contributors, a pattern that would dominate future elections. Netanyahu outspent Peres on television ads, campaign paraphernalia, and pursued the JFK v. Nixon strategy in their own television debate. Apart from his media strategy Netanyahu zeroed in on the religious and Russian immigrant vote to win. Lochery does a good job developing Netanyahu’s family background and his relationship with his brother. If there is a criticism to be made, the author does not provide a detailed history of Netanyahu’s family background, particularly his father’s bitterness against Israel and the United States, the impact of his views on Benjamin, and the role he played in early Israeli politics until half way through the narrative. Benzion was a scholar of Jewish history and the Zionist political movement, and he and Yonatan, his older brother one of Israel’s most decorated soldiers had a profound influence on Benjamin, especially their hawkish views concerning the Arabs. In growing up in the United States Benjamin was greatly influenced by the American political culture. Unlike his father who was an ideologue, Benjamin saw how pragmatism worked in the American political process and pursued that strategy throughout his political career. Central to Benzion’s scholarly work was the traditional Zionist ideology of Ze’ev Jabotinsky which rested on the belief that Jews faced racial discrimination and any attempts to reach a compromise with the Arabs was futile. Yonatan Netanyahu was being groomed as the star of the family. First, a career in the Israel Defense Force, reach the rank of general, retire to assume a career in politics and eventually become Prime Minister. Yonatan a hero in the 1973 Yom Kippur War stationed in the Golan Heights was well on his way to fulfilling his father’s dreams when he was the only Israeli soldier killed in the successful Entebbe Raid in Uganda. Yonatan death was a life changing event for Netanyahu. His brother had believed that it was better to continuously live by the sword, then lose the state of Israel. Netanyahu vowed he would achieve everything his brother had hoped to, protect his brother’s legacy, in addition to ingratiating himself with his hard to please father, a man who never showed any emotion. Another area that Lochery should develop more was Netanyahu’s life in the United States. He continuously points to America’s influence, but other than a few lines about his business education, connections in America, serving as the Diplomatic Head of Mission to the United States, and Israeli Ambassador to the United Nations between 1982 and 1988, he offers little. Lochery does a much better job narrating and analyzing Netanyahu’s performance as Prime Minister in dealing with Yasir Arafat and negotiations on the Interim Agreements fostered by Oslo under Rabin. Netanyahu is a cagy politician who brings in Ariel Sharon as Foreign Minister in order to deal with Likud members who oppose any further negotiations. Netanyahu realized that President Clinton facing impeachment and the Lewinsky scandal needed a deal at the Wye River Conference resulting in a diplomatic framework that only cost Israel an eight month hold on settlements and the release of 750 Palestinian prisoners. Lochery’s coverage of the 1999 election is perceptive and he points out that his loss to Ehud Barak and his subsequent resignation of his Likud held seat in the Knesset was a grave error because it allowed Sharon to reorient the party in a direction away from Netanyahu’s approach to governing. It would take him six years to recover and almost made himself politically irrelevant. Most of Netanyahu’s problems center on his ego and his belief that only he could effectively rule Israel and that the public trusted him more than any other Israeli politician. Lochery is correct in arguing that Netanyahu would later unseat Sharon as leader of the Likud coalition by moving further to the right on the Israeli political spectrum as the former war hero had moved to the center. The campaign began with Netanyahu’s withdrawal from Sharon’s cabinet in 2005 in opposition to complete Israeli withdrawal from Gaza. 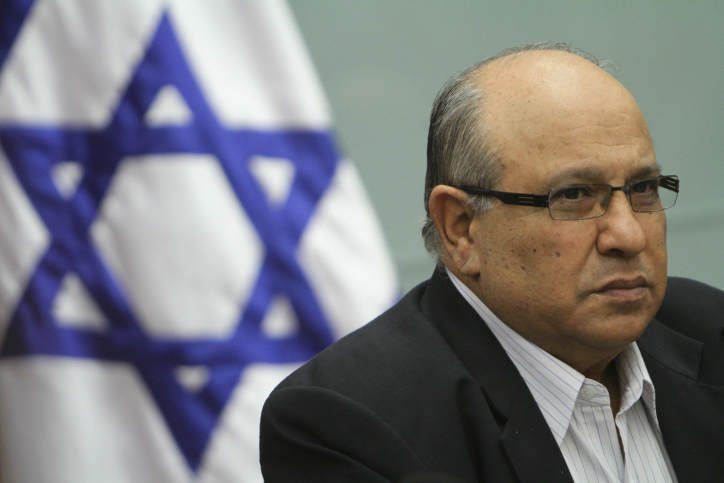 Sharon’s response was to withdraw from Likud and create a new political party, Kadima. Once Sharon had a stroke, Ehud Olmert replaced him and was elected Prime Minister in 2006, leaving Netanyahu the task of rebuilding a Likud Party that won only 12 seats in the Knesset. Netanyahu’s machinations behind the scene in opposition in the Knesset, the scandals that engulfed Olmert, and other events resulted in new elections in 2009. Lochery’s analysis of the Israeli electorate throughout the narrative allows the reader to experience the ebb and flow of Israeli politics with great understanding, particularly in 2009, the election that returned Netanyahu to power. The election coincided with the assumption of Barak Obama as president of the United States, thus beginning their eight year testy and sometimes controversial relationship. Once in power Netanyahu focused on remaking the Middle East which brought him into conflict with Obama, especially in relation to Iran and its nuclear program. One of Netanyahu’s defining moments came when he accepted a Republican Party invitation to address Congress on March 3, 2015, a speech that angered many supporters of Israel. Lochery examines the speech in detail and correctly points out that it was vintage Netanyahu as he presents a problem, emphasizes the historical nature of the problem, and then does not offer any viable alternatives in solving the problem. This was Netanyahu’s modus operandi throughout his career whether dealing with Israeli domestic issues or its foreign policy. Whether it was Iran or the Palestinian peace process, Lochery is dead on, the Israeli Prime Minister would obfuscate, stall, and in the end the status quo would remain essentially the same, a strategy defined by conflict management, not conflict resolution. The arrival of the Arab Spring in 2010 further solidified Netanyahu’s power in Israel and heightened tension with Obama. The Israeli public saw the Arab Spring as a threat, so it leaned further toward the right thereby increasing Netanyahu’s political support. Obama saw it as an opportunity, but the two sides could never bridge that gap. Lochery is accurate in his conclusions concerning the distaste that each had for the other, to the point that he wonders if Netanyahu would have made a better candidate for Republicans in 2012 than Mitt Romney in opposing Obama. When reading Lochery’s narrative one can get the feeling that he concentrates mostly on foreign policy and internal political issues. To his credit he does explore Netanyahu’s role in turning Israel away from what he calls the “inefficient Zionist model” to a market driven economy. He presents Netanyahu as a “Thatcherite” and credits Netanyahu’s reforms as Finance Minister as laying the foundation of bringing the Israeli economy into line with other Western capitalist ones. Netanyahu moved in this direction according to Lochery because he saw no alternative in securing Israel’s future, but it created tremendous political problems as the poor and lower classes suffered the most from these reforms, but at the same time, he needed their political support to be reelected. No matter what area of Netayahu’s life or policy Lochery delves into the reader will gain an interesting perspective of what drives the man. This is important as we pick up the newspaper each day and we learn the latest machinations of the Israeli government, i.e., this morning we learn that Israel is about to defy the United Nations and build more settlements. A direct strike against President Obama, and a belief in Tel Aviv that Donald Trump will view this action more favorably. This list has been updated on December 24, 2016. It includes the latest books published in 2016 that I believe are important and members of the new Trump administration should consult. Further, it includes some older books that I left of the previous versions of the list. Middle East historian and correspondent Robin Wright has just written a perceptive article for the December 12, 2016 edition of the New Yorker that is worth exploring. At a time when the Islamic State (or Daesh as it is known in the Gulf States) is now experiencing a number of major defeats since it created its “caliphate,” Wright’s article, “After the Islamic State” is very timely. Her analysis concentrates on what should our policy be once Daesh is defeated. As its territory recedes the west faces the prospect of more Paris and Brussel types of attacks as the “caliphate” changes the battlefield as American drones continue to target their leadership and fighters. Wright recently traveled throughout the region and found ongoing wars in Syria, Libya, Yemen, and Iraq. Further, Lebanon, Turkey, and Jordan have become sanctuaries for hundreds of thousands of refugees. On top of this the oil rich Gulf States, she believes are very fragile. The instability across the region has led to economic distress and high unemployment and the long term viability of certain Arab states is called into question. The fear is that the destabilization that has manifested itself in Syria, Iraq, and Libya could spread across the region and engulf countries like Algeria, Morocco, or other Arab states. In addition, Wright points out that the reemergence of al-Qaeda, i.e., the al-Nusra front in Syria is very problematical for the west and the Arab states. Further complicating matters is the increased role of the United States with roughly 5,000 troops/advisors, drone attacks, and expenditures of $12.6 million per day on the eve of a new presidential administration that has done very little to educate the public as to what its policy might be in the future. Iraq itself, despite its Mosul offensive against Daesh suffers from political paralysis and corruption. Above all the dream of a caliphate is still out there and once Daesh is driven out of Raqqa, its supposed capitol, some other jihadi group will try and rekindle the concept. Wright brings up a number of important issues and it would be well worth the time for the Trump administration and its European “allies” to think long and hard as to how to confront the future.